designed to help those with Parkinson’s disease and other physically challenging conditions. 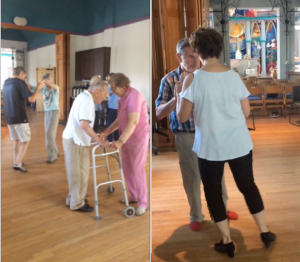 Deborah Iole, an avid tango dancer who believes that everyone can benefit from the joy and passion of Argentine Tango, developed the program based on research that has been done on the therapeutic benefits of tango particularly for Parkinson’s Disease. She teaches the class in a fun and friendly environment. Deborah holds a Masters degree in Dance/Movement Therapy from Naropa University and a Bachelors degree in education and is a certified Pilates Instructor since 1992.